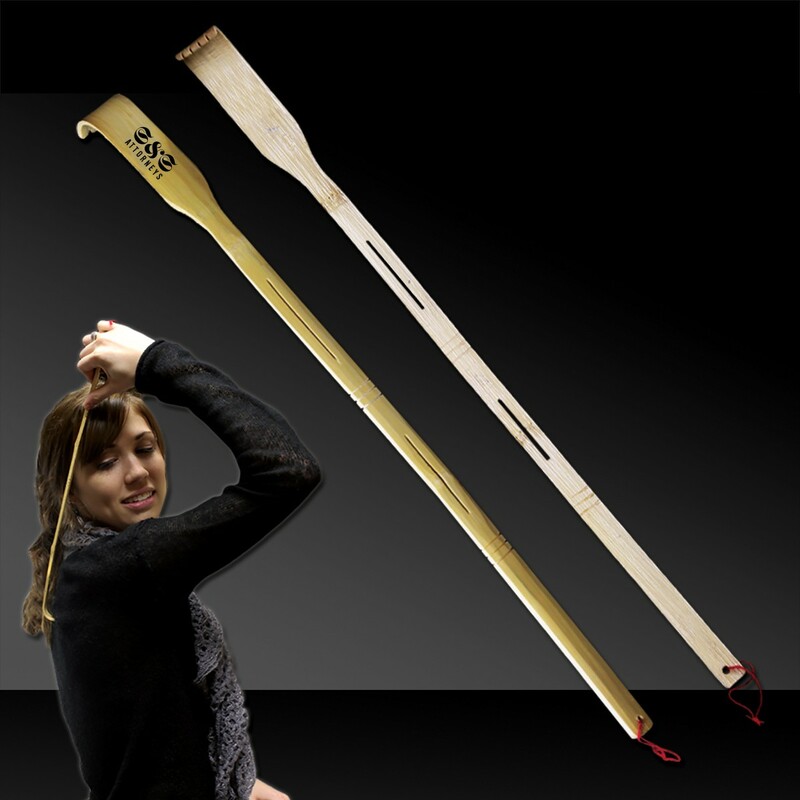 Scratch your client's back literally with a truly functional and funny promotional product. 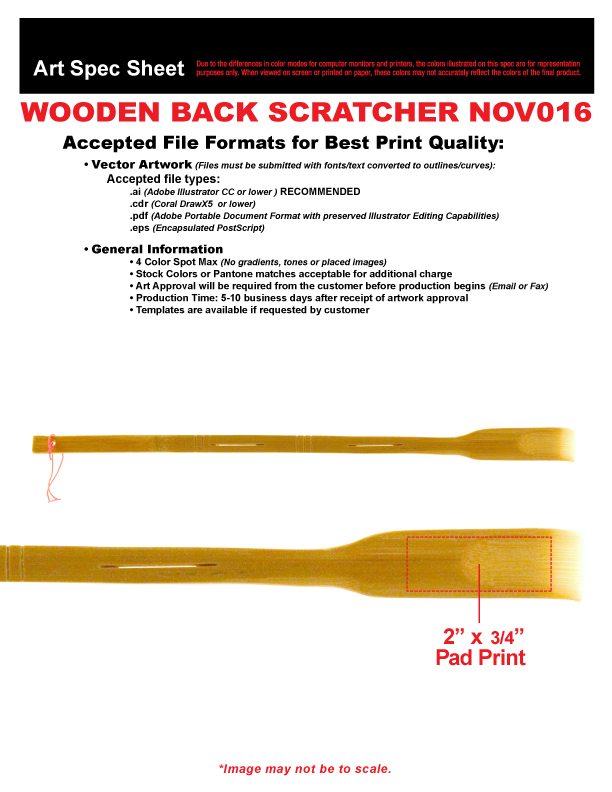 Our 16" Wooden Back Scratcher is the perfect way to promote your company's name or logo. Priced per back scratcher, please order in increments of 1 dozen. Please note: Our 16" Wooden Back Scratchers are handmade. Due to the nature of the wood and being handmade, the printing placement may vary.